Since 2011, Riverview has packed 50 or more Christmas boxes to be sent to children overseas through Operation Christmas Child. In the past three years, we have partnered with Welcome Chapel and Ebenezer Baptist Churches in Albany in this outreach ministry! Last year we thanked God for the 64 boxes packed for Operation Christmas Child. This year, we pray we can be a blessing to even more. If you would like to participate, boxes can be picked up at Riverview, and must be returned with a $7 donation to offset shipping no later than Sunday, November 20th by the end of Worship. Riverview Participating in Toys for Tots Program ! We are happy to announce that Riverview will be participating in the Marine Toys for Tots program again this year! This program assists families who might not otherwise have gifts for their children at Christmas. It's open to anyone with kids up to age 16. To sign up, please contact Sis. Deana Ferrusi with your name and contact information, as well as names, ages, and genders for each child. Deana can be reached via email at deanamferrusi@gmail.com or via Facebook message. Save the Date! 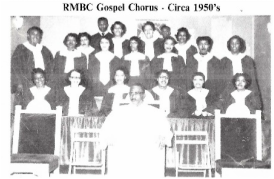 Riverview will host our annual Gospel Holiday Concert on Saturday, November 26. 2016 at 7:00 pm. Join us on the Saturday after Thanksgiving to give thanksgiving and praise to our King, Jesus Christ as we usher in the Holiday Season! Riverview's Annual Church Fast 2016 - Being God's Witness! 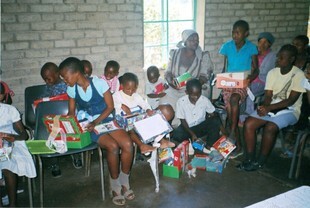 Last year we thanked God for the 62 boxes packed for Operation Christmas Child. This year, we pray we can be a blessing to even more. If you would like to participate, boxes can be picked up at Riverview, and must be returned with a $7 donation to offset shipping no later than Sunday, November 19th by the end of Worship.